There are so many cool Christmas gifts and present ideas for 2012 it can be easy to find it hard what to choose. There isn’t even any need to go to the shops anymore, the best presents are found online, and with low prices it is little wonder why so many high street stores are suffering. So if you are looking for the perfect gifts and need help sorting out what’s worth it and what isn’t use this list of the very coolest Christmas presents to make sure you make the right choice. It seems that most people have a smartphone these days, or at least some funky mobile that they can stay in touch with. The problem with phones is that their battery life is somewhat lacking. This means that the device that is used to stay in contact with people can be deemed useless from time to time. To combat this problem you can buy a solar phone charger. 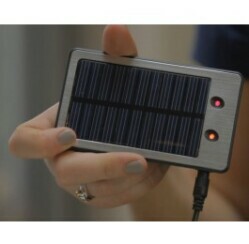 It uses the power from the sun to power up batteries that need charging. There is no need to be inside, near a plug socket or have to turn off your phone in order to save the battery. Just plug in the solar charger and the phone will be topped up nicely. the iPad and iPod Touch along with Android phones too. 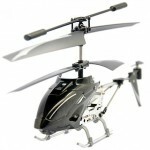 It’s a small and very smart helicopter that you can fly around the home or office using only the phone. Incredible technology that works with a free app that you can download to transform your phone into a remote. It really is one of the coolest Christmas gift ideas on the market and is called the iHelicopter. There is another very cool gift that is proving to be a hit. The alarm clock is never really welcomed, but the Projection Clock is something else. 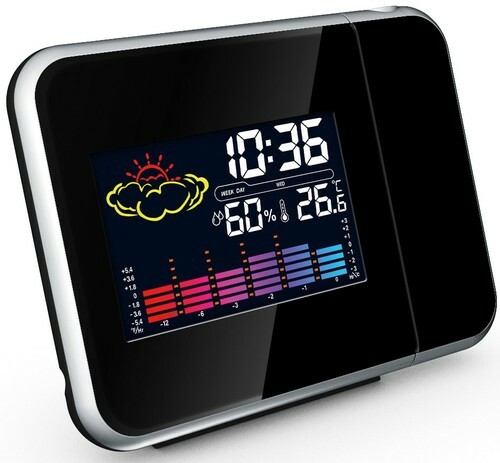 Not only does it project the time on either your wall or ceiling with great accuracy, it also lets you know the weather forecast.. 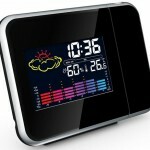 It has loads of great features too so you can set it to wake you in a variety of ways. These three cool Christmas gifts are expected to be three of the top sellers this Christmas. Look online to find them at the best prices.